Apple has sent select members of the tech press invitations for a media event scheduled for next Tuesday, October 23, widely assumed to be the rumored iPad Mini event. The event will be held in San Jose, California, at the classic California Theater, and is scheduled to kick off at 10AM PST. 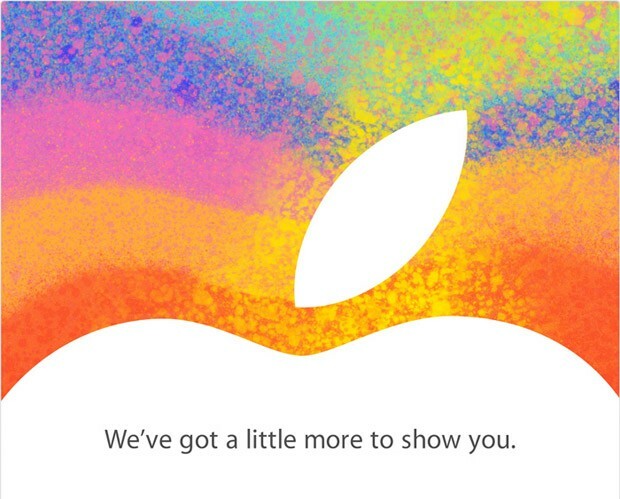 The invitation isn’t exactly subtle in hinting at the smaller iPad, with the phrase “We’ve got a little more to show you.” being the only text on the mailing image, as shown from The Loop. iPad Mini rumors gathered more steam this morning after a ton of SKU’s showed up from 9to5mac indicating Apple will unload a barrage of new iPads next week, with up to 24 total models shipping, covering black and white models in three different size capacities, and models with and without LTE support. Though the event is expected to focus on the smaller iPad, several new Mac models are also anticipated, including a retina 13″ MacBook Pro, new Mac Mini models, and possibly even new iMacs. Well, new Mac mini could be exciting, I wonder if it will be redesigned to be smaller like Apple TV and a lower price? Apple, keep your iPad mini, gimme a new iMac!!! It’s really about time!!! Indeed. I really don’t care about an iPad Mini. I really don’t know why I’d want to buy a smaller iPad. I still think Steve Jobs was right about 10″ being the perfect size for such device and smaller screen sizes being useless. I even think Apple only made this smaller iPad because of all the pressure (media hype), but it’s actually completely useless. I think the same about the iPhone 5. Apple never wanted a bigger screen size, but only because of all the pressure and media hype they decided to add an additional 0,5″ which is actually completely useless and makes apps incompatible, so they need to add ugly black sidebars. Let’s hope Apple will only announce a new Mac Mini and new MacBooks withe Retina display. Although, I’m sure this event will only be about that useless iPad Mini. New iMac, possibly the 13″ Retina MacBook Pro, and iTunes 11 – that is my prediction. I’m probably wrong, but we KNOW that iTunes 11 is due in October. It says so on Apple’s on website. I don’t have the money for a new iMac or Macbook…maybe for an iPad or iPad Mini..but I’m looking forward the most to the new iTunes. I’ve never had a true problem with the current version, like apparently many other people, but it sure would be cool to get my hands (or mice) on this new version- it looks sick!